Dr. Ami Oren is a pulmonologist from Los Angeles, California and she has been practicing medicine for more than 20 years. 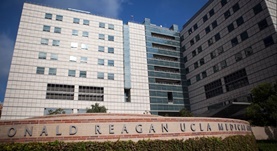 She graduated from the Hebrew University of Jerusalem Hadassah Medical School and completed an internship at the Soroka Medical Center, two residency stages at the Shiba Medical Center and the Shaare Zedek Medical Center and two fellowships at the Queen of Angels - Hollywood Presbyterian Medical Center and the Harbor/UCLA Medical Center. She is board certified in internal medicine, critical care medicine, and pulmonary disease and also collaborated to several published studies that focused on different topics. 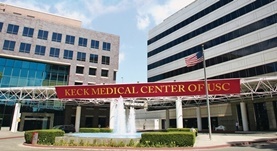 Dr. Oren is a member of the American Thoracic Society and the American College of Chest Physicians and is currently affiliated with the Keck Medicine of USC and the Ronald Reagan UCLA Medical Center. Dr. Ami Oren has contributed to 3 publications. A 49-Year-Old Man with Fever, Erythema Nodosum, and Ankle Swelling. Final Diagnosis: Extrapulmonary tuberculosis with hepatic and bone marrow involvement. Truong LN1, O'Connell R2, Oren A1. Antimicrobial and anti-inflammatory activity of chitosan-alginate nanoparticles: a targeted therapy for cutaneous pathogens. Friedman AJ1, Phan J, Schairer DO, Champer J, Qin M, Pirouz A, Blecher-Paz K, Oren A, Liu PT, Modlin RL, Kim J.
Membrane-targeted synergistic activity of docosahexaenoic acid and lysozyme against Pseudomonas aeruginosa. Martinez JG1, Waldon M, Huang Q, Alvarez S, Oren A, Sandoval N, Du M, Zhou F, Zenz A, Lohner K, Desharnais R, Porter E.